In a Channel 9 conversation, user Dr. Herbie expressed his long-standing desire to see his Outlook calendar as a desktop wallpaper. This, I admit, has never once occured to me. The nice thing about it is that it's so amazingly simple to implement. 1) Due to the whole Eolas/ActiveX lawsuit fiasco, you need to click on the desktop once to enable interaction with the ActiveX control. 2) You can click on desktop icons, but you can't drag them around (well, without dragging them into an appointment. :). This can be fixed by resizing the control to allow some free desktop space, I suppose. 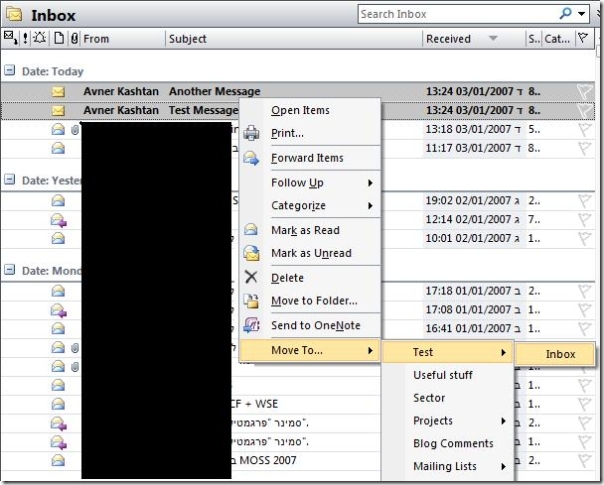 3) This keeps an instance of Outlook permanently in memory. Probably isn't a problem, but good to know. 4) As it stands, the control will mirror the view current selected in your Outlook calendar. Here's a screenshot of my desktop right now. Thanks for the idea, Herbie! Download the specified attachment (CalendarWallpaper.zip) and unzip into any convenient place. My Documents, for instance. Then, Go to your desktop properties -> Desktop -> Browse and choose the unzipped file (CalendarWallpaper.htm). Et voila! One of the most annoying things about writing add-ins for Office is that it tends to swallow any and all errors that occur. All exceptions are silently thrown into the trash heap without even a statusbar flag. Nothing. This meant that we often had to add messageboxes for debugging, or Debugger.Launch to see what’s going on. At first I thought that Word 2007 was no different, but then I was idly browsing through the Word Options dialog and discovered a wonderful prize – a checkbox called “Show add-in user interface errors”. Quickly checked and lo and behold – exceptions in my code are shown by Word! Life is good again! Outlook has always been a bit of a latecomer to the VSTO game, being a step behind and a version later than Word and Excel. 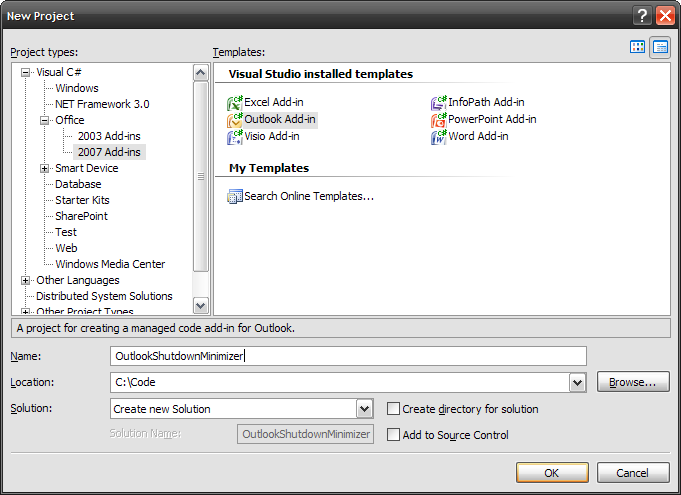 I'm glad to see that with Outlook 2007 and VSTO 2005SE it's gotten simpler and easier to write add-ins for it. So I did. 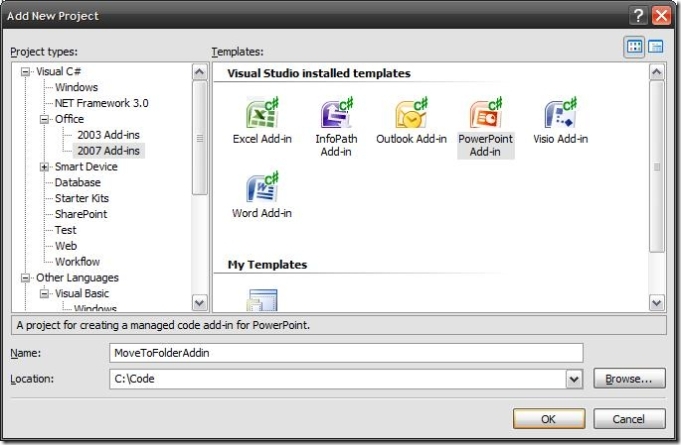 The basic premise of this was an exercise to know more of the new Object Model enhancements in Outlook 2007, but it best serves as an example of a add-in for Outlook that uses the VSTO environment and the abilities of the new version. 1) Rules. The problem here is that I don't always know in advance who the mail will be coming from or what will be on the subject line. 2) Drag&Drop. Necessitates keeping my folder tree open to its full depth, or else waiting for the interminable timeout until the tree expands itself. Also, no keyboard support. 3) Move To Folder dialog. This allows me select several items and move them en masse to a new folder. The problem here is that it opens a whole dialog for me to traverse (like in the Drag & Drop scenario above) until I can move my items. Move clicks, more UI to go through. As you can see, I'm not thrilled with either one of these alternatives, so I decided to add a fourth. A solution that was suggested to me a while ago was, unfortunately, very hard to implement using Office 2003. The idea is to add a new menu item to an item's Context Menu in Outlook that will allow quick access to all subfolders. This will allow a two-click moving (one to raise the context menu, another to choose the destination). It also allows keyboard navigation and selection, making it easier for those times when I'm experiencing mouse fatigue. There are some problems and limitations with my current implementation, an admittedly quick'n'dirty solution. The first is that I currently only support moving MailItems, meaning normal Outlook messages. It currently won't work for tasks, appointments or Public Folder posts. This isn't really a problem for most scenarios, but if someone needs that functionality, it should be added. Another problem is that you can only move items to a leaf folder – if I have a Projects->Sharepoint->NewSharepointProject hierarchy, I can't copy my items to the Projects or Sharepoint folders. This is probably solvable, but I decided against confornting the Office Commandbars for now. I'll elaborate more later when I talk about the code. This has gotten longer than I expected, so I'll be splitting the actual code of the add-in to a different post. Here's the link to the second part: The Add-in Code post. A client asked me the other day what happened to File->Properties in Word 2007. They simply couldn't find it. In the Beta1 TR, I remember it was confusingly located on the Status Bar (!) 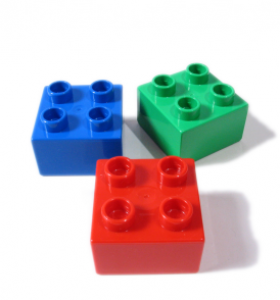 – right-click, pick View and View Properties. Very annoying. This, I feel is hardly obvious. I don't necessarily want to input this data only when I'm finishing off the document. It contains other data, even if we ignore the statistics that can be seen elsewhere (again, on the status bar). This pane is, I feel, a mistake. There is some justification, perhaps, for the sudden appearance of a Mail Header pane when we send an email from Word. It sticks out a bit, but it brings the familiar Outlook UI, which makes sense when we're sending an email. Here, however, it's just unexpected. There's no other use of this sort of UI in Word, so consistency is shot. It eats up a huge amount of screen real-estate that doesn't go away until you explicitly close it – wasn't the whole point of the ribbon to avoid all those messy toolbars that users bring up and don't know how to remove? And all this for 7 text fields which also appear on the Summary tab of the Properties dialog, which can much more intuitively closed by pressing Ok on the dialog. I really feel this is a bad UI choice for Office 2007. I hope they change it in the final release. Enough of the rant. Now for proposed solutions. I went over this with a friend, and our opinions differed. I suggested sticking with the old familiar dialog for adding/seeing metadata, while he proposed a new solution: Add the metadata as a Cover sheet or End sheet, built into the document itself. 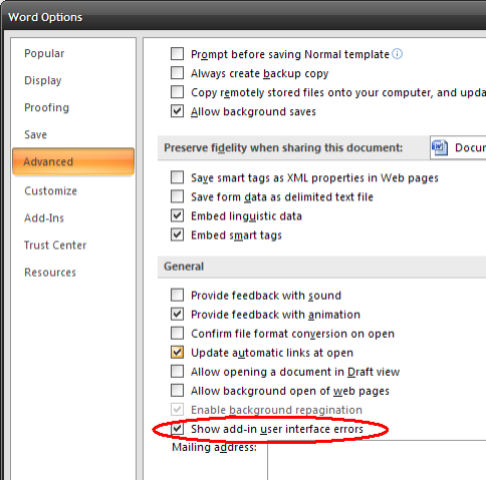 That means we'll add another virtual page to the beginning/end of the document that isn't, by default, shown or printed. The user will add the metadata fields (Creator, Title, etc) the same way he writes the document itself. I feel this isn't a good idea. To my mind, the metadata is separate from the document text itself. Not only will most users not want to see it (which isn't really a problem if it's disabled by default) but I think that adding metadata is a separate thinking process. Putting it under the Finish submenu shows that Microsoft seem to feel the way I do. The drop-down list of names that Outlook gives us to auto-complete a name or address being written is stored in a file called .NK2 in our Application DataMicrosoftOutlook directory. This file is stored in a proprietary binary format, and there's no known documentation for it as far as I know. There seems to be a company that (apparently) reverse-engineered the format and are selling a cache-editing tool, but it's pricey – the basic desktop version can edit, import/export and print for $35. The network/helpdesk editions can do remote NK2 editing for all computer on the network, but gets really pricy with per-seat licenses and so forth. It turns out, however, that the most common usage for such an editor isn't necessary. If we just want to remove an item from the cache we can do it from within Outlook itself – simply navigate the drop-down options using the arrow keys and press Del on the one we want to erase – and away it goes. Very simple, and even logical when you think about it. We're just not used to live editing of an auto-complete list. 1) Must suppost null dates, like the Due Date datepicker in Outlook tasks. 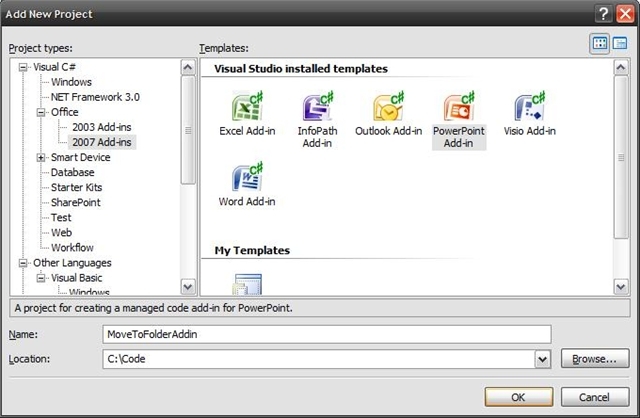 2) Must be an ActiveX, and supported inside both .NET winforms and Outlook forms. 3) Be generally bug-free and supported. 1) Janus Windows Forms Controls for Microsoft .NET. They have an excellent WinForms package with Outlook-style, controls, but their ActiveX package is old and contains only a grid. Also, their prices are a bit high for this project. 2) DevExpress have a .NET and an ActiveX version of their DatePicker, which is also more than adequate. Again, prices are a problem – buying the suite is expensive, and getting only the XPressEditors component is even worse – over $1200 when all we need is a datepicker? Addendum: The control does NOT work properly on Outlook forms – the dropdown doesn’t. 3) CodeJock have a nice ActiveX Calendar Suite with a datepicker that has good features, but for some reason is implemented as a MonthCalendar display only – no pop-up calendar. 4) NeoComponents have an ActiveX Calendar suite, with a datepicker that crashes and burns when added to an Outlook form. 5) XE Software have a nice little date control too, which unfortunately doesn’t allow None as a valid date choice. 6) *New* TeamScope have an Outlook Developers Library, including lots of libraries for working with Outlook solutions, and a good ActiveX DatePicker too. The problem? The font for the month name is fixed and unchangeable, and isn’t set to a Hebrew codepage. How silly is that? After fiddling with those for a while, I decided to try a different approach – extending the basic DateTimePicker control with the None option, or simply wrapping a good .NET control as an ActiveX. 1) Messing with the .NET DateTimePicker is nasty – it calls the API to use the Windows Common Controls for the picker and the calendar, and adding a button there is really annoying – Many calls to SetParent and SetWindowPos and interfering with the WndProc before I could get my button sync’ed in with the calendar, and it still doesn’t look as good as a calendar built for it. 2) Wrapping a .NET control as an ActiveX to be used by Outlook Forms is also problematic, messy and unsupported. Current status, with the help of some good people, can be found on OutlookCode. However, if the Janus suite is chosen for the project (Regardless of the DatePicker) I might have to use this. Does anyone have a simple, miraculous cure for my problems? John R. Durant, over at the MSDN Office Developer Center, blogs about the .NET Controls on Outlook Forms problem.